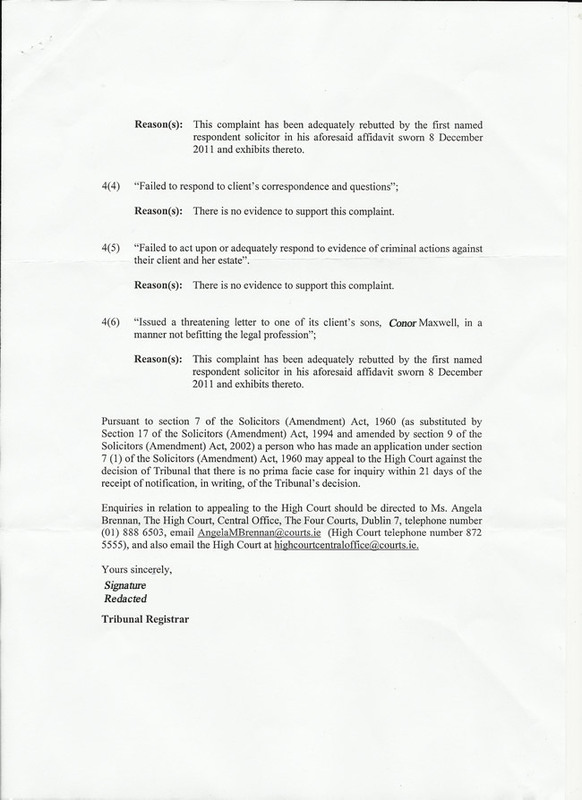 The three members of the Solicitors Disciplinary Tribunal Division – solicitors Hugh O’Neill and Caroline Devlin, and layperson Dermot Eagney – met on 12 June 2012 to consider all of the sworn statements and supporting documentation surrounding Saoirse's complaint against Jaggers and Brass, which was ran a little over a thousand pages. 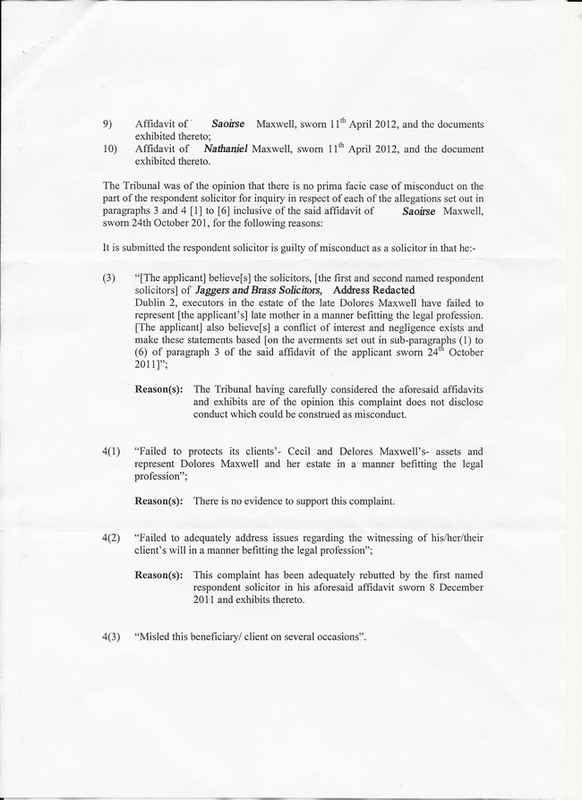 Saoirse was informed of their decision in a letter dated the next day.We have previously published excerpts of this decision, along with the appropriate Affidavits and Exhibits, see Example 1 and Example 2. We publish it here in its totality. Throughout history, self–regulation by any entity, whether industry or government body, fails. Self–regulation inexorably devolves into ineffectiveness and farce. Ireland's legal industry have been their own watchdogs for a long, long time. Any hint of change involving effective oversight is met with a steely resolve to maintain the status quo. We think the following decision is a clear example of the folly of self–regulation.